Refined is a responsive Business/Portfolio CMS theme for wordpress from WPWebs. Refined theme provides all the main functionality of Business/Portfolio websites that present your products, work and yourself online in an elegant and professional style. The WPWebs Refined WordPress theme has fully responsive desgn, color and background paten change options, localization ready, easy and attractive theme option settings, large collection of shortcodes, Page templates with pre-made styles and functions and much more. Price Compare is a sleek affiliate marketing based price comparison WordPress theme from Templatic, Price Compare theme is for those looking to build a Price Compare site and showcase products from Amazon and Commision Junction or other different sources on the web, offering everything you would need from a price comparison site. The Templatic Price Compare WordPress Theme built with widgetized homepage, loads of custom widgets and awesome SEO capabilities, couple of skins, data feeds uploaded using a .csv file supported, 30 unique shortcodes, theme option panel and more. 30 unique shortcodes, inside the description window of your post, product or page. Curo is a premium Medical WordPress Theme from PressCoders, Curo theme is designed just for medical and health business website up and running quickly. 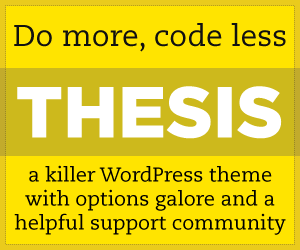 The PressCoders Curo WordPress Theme fully control yourself without being a web designer. Add your own content, 9 change colors, Homepage sliders, supports audio/video embedding, has a blog section, theme option panel and more. Want to use Press Coders Curo WordPress Theme to build medical professional website etc. Feel free use PressCoders Coupon Code: 7FB31 Save discount off on Curo WordPress Medical Theme download.